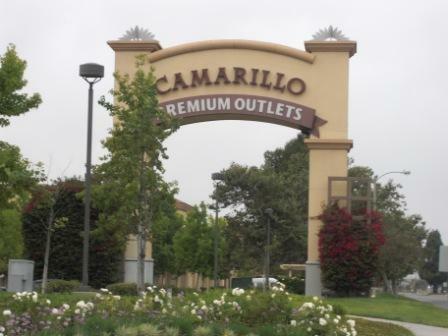 The Camarillo Premium Outlets at 740 East Ventura Boulevard offers 160 outlet stores, including (as of April 2019) 77 fashion/clothing, 21 footware, 9 kid-related, 4 leather/luggage, 20 accessory/jewelry, 3 housewares/home furnishing, 10 gift/specialty and 16 eateries. Open 10am-9pm Monday to Saturday and 10am-8pm on Sunday. More information at www.premiumoutlets.com/outlets/outlet.asp?id=20 or call 805.445.8520. On Tuesdays, show your photo ID if you are 50 or older for 50 Plus Shopper Perks...an additional 10% off your purchases at participating stores. Get there by taking the 101 to either Carmen (make a left over the freeway and then right on Ventura Blvd.) or Los Posas (left over the freeway and then left on Ventura Blvd.). If you're on a diet, you might take Los Posas as the Carmen route takes you past a large, alluring In-N-Out Burger. As you can see on the map below, there are three main sections. 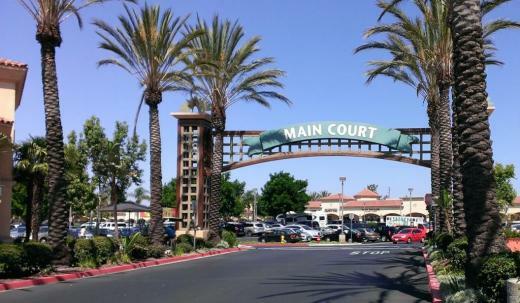 The original outlets are on the left side, including the Main Court and across Camarillo Center Drive is the Fashion Court. In 2009 the outlets expanded to the west between the Edwards Movie Theater and Las Posas Road to include The Promenade section. 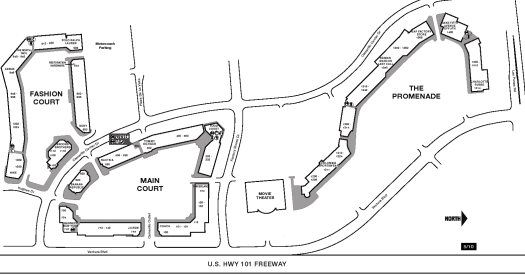 The Main Court contains suites 100-744, Fashion Court suites 800-1118 and The Promenade suites 1200-1514. The CP Outlets website has a listing by store type as well as a map. The outlets are pretty massive. You can park anywhere and walk the entire way, though I prefer to park in the Main Court and cover the Main Court and walk across Camarillo Center Drive to get to the Fashion Court. You can also walk to The Promenade, where you’ll find the most eateries, including Johnny Rockets, Los Arroyos, Panera Bread and Pink’s Hot Dogs…not to mention, in the parking lot (and not listed in the mall’s directory) , PizzaRev, Smashburger, Chipotle, Pick Up Stix and Yogurtland. Also, there’s a Cracker Barrel restaurant planned further west in The Promenade parking lot by Thanksgiving of 2019. A small kids’ playground area has been added in 2019 to The Promenade section near Wetzel’s Pretzels/Lids/Sunglass Hut. The two videos below provide a quick drive-through around the Main/Fashion Courts and the newer The Promenade.